Where else would you rather be than near the water, and especially the sea, if it's in the high 20's or more? I love the sun and the hotter weather and wish I lived nearer the sea so I could walk the beaches when the day is long and stretches into warm, sultry evenings. I made a small media board using DecoArt products to create this crackle background to remind me of the beautiful colours and sights of a coastal walk. 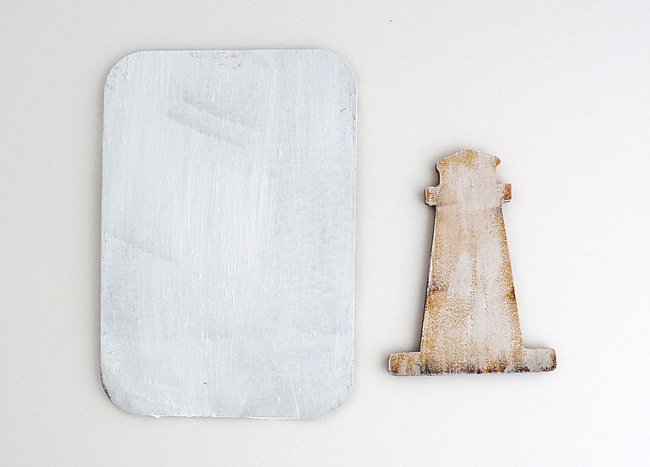 Paint the media board with a coat of white gesso .... at the same time dry brush the chipboard lighthouse with gesso too. Notice the different effects you get. Apply modeling paste through a stencil for texture and to begin background layers. When dry paint over with cobalt teal hue and titan buff. Dry that and then apply transparent crackle glaze over it and leave to crackle naturally. When dry rub over with prussian blue. 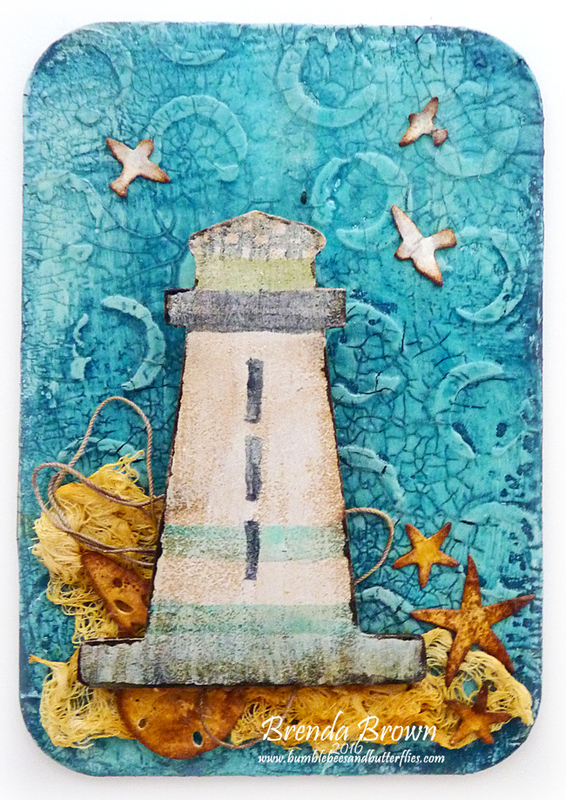 Take the lighthouse and add watery washes of cobalt teal, prussian blue, paynes grey and transparent yellow iron oxide and give it a coat of antique decoupage (my new fund vintage product from DecoArt). Some cheesecloth dipped in transparent yellow iron oxide, some thread dipped in raw umber and paynes grey and some little die-cuts of birds, shells and starfish finish off the design. Hope you have had some nice sunny weather recently and hopefully not tooooo hot but warm enough to walk by the river, sit by the lake or be by the sea. Wow! Brenda... das ist ja zauberhaft geworden. Ich sehe die viele Zeit und Liebe, die du damit hattest. Ein schönes Bild, richtig zu Meditieren geeignet. That crackle glaze is just so amazing - isn't it!! One of my fav products :) This is just SUPER Brenda. 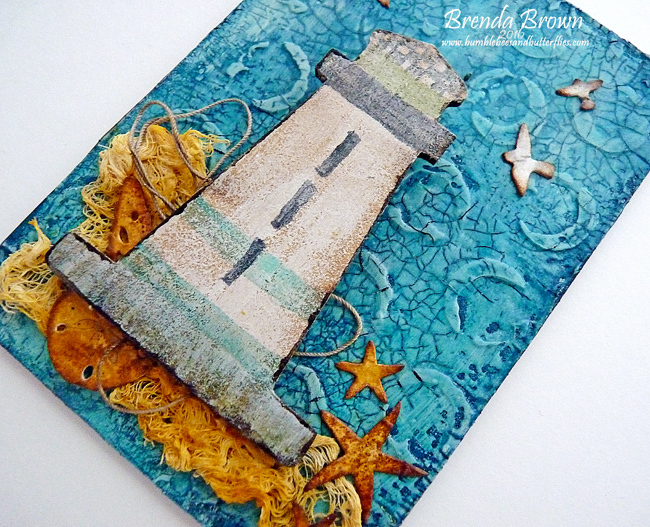 Somehow a lighthouse is just so peaceful - love the colors and texture on yours. And your background is PERFECT. DELIGHTFUL Seascape. Xj. I love this, especially the colour combination ! Wonderful textures, its a fabulous nautical project. Love that textured crackled background, and the brilliant beachy thread and cheesecloth textures. 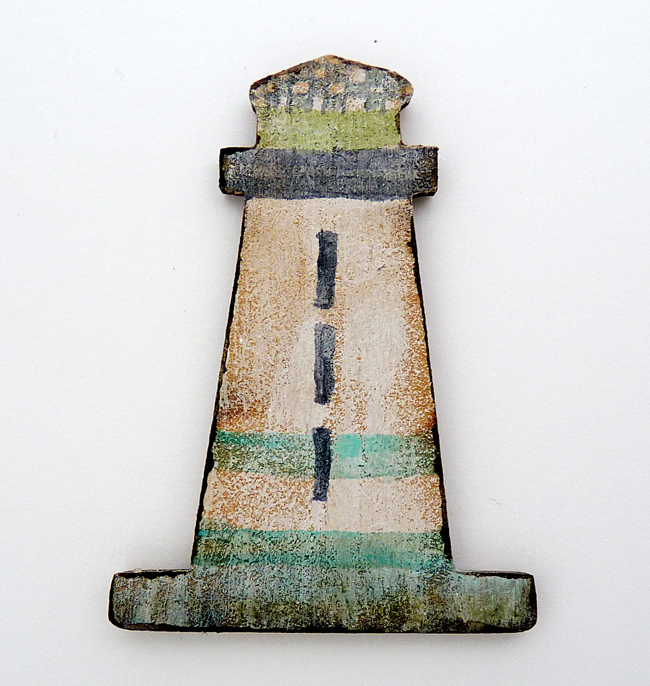 The lighthouse looks stunning - beautifully distressed.